March 8th marks International Women’s Day, and what better way to celebrate this day, than to look at a book which celebrates the role of females in the war effort. 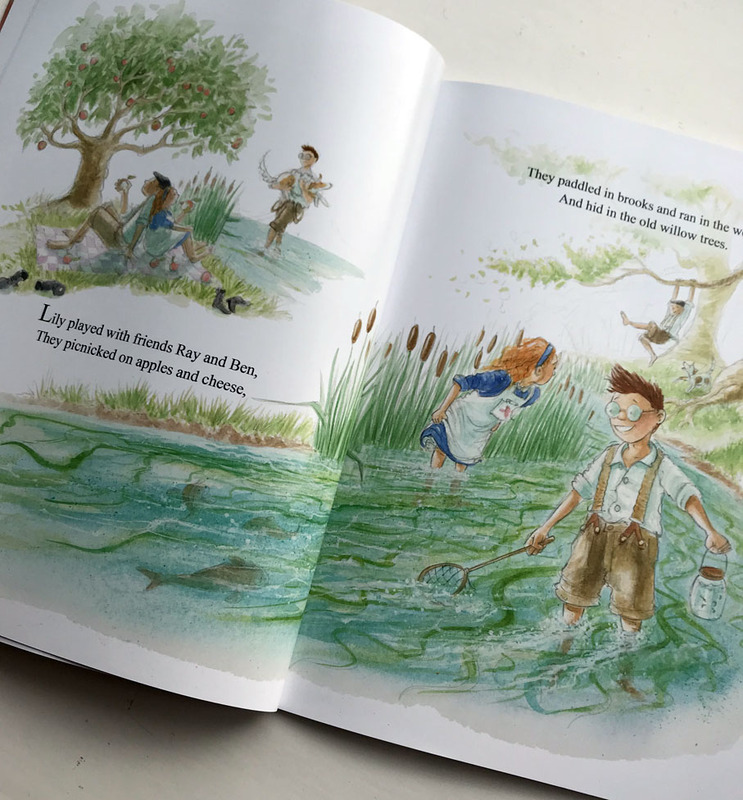 This is Peace Lily, written by Hilary Robinson, illustrated by Martin Impey and published by Strauss House Productions. 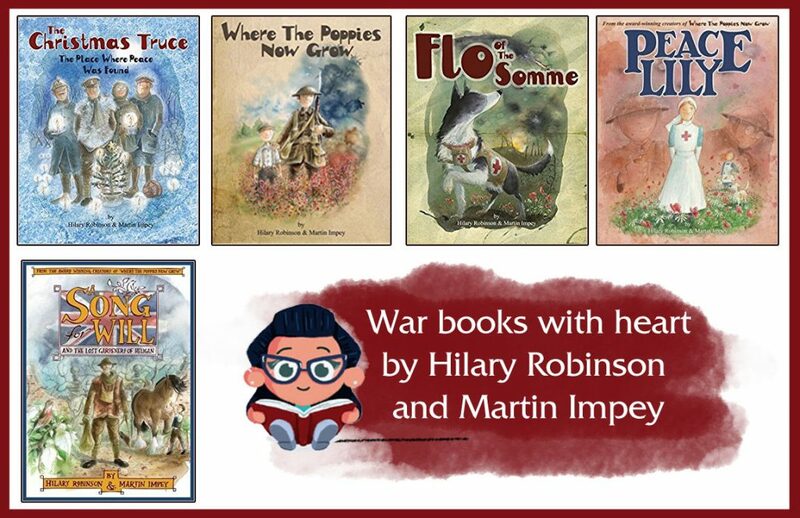 Hilary and Martin’s incredible series of picture books have so far told to the stories of young men going to fight in the war, the animals that helped, and zoomed in on different specifically inspiring stories. But also during the war, many many incredible women were called upon, not only to fill the roles left by men who had to go and fight in the wars, but also as important supporting roles directly in the war effort in jobs such as nursing and working in munitions factories. 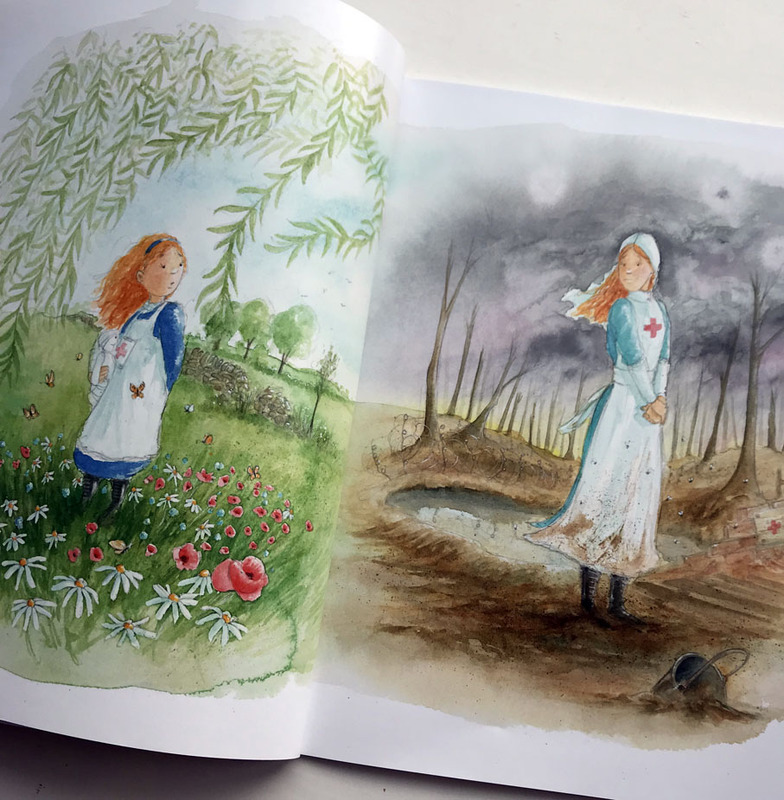 This is the first children’s picture book that I have come across which focuses on the women’s vital role in the war. 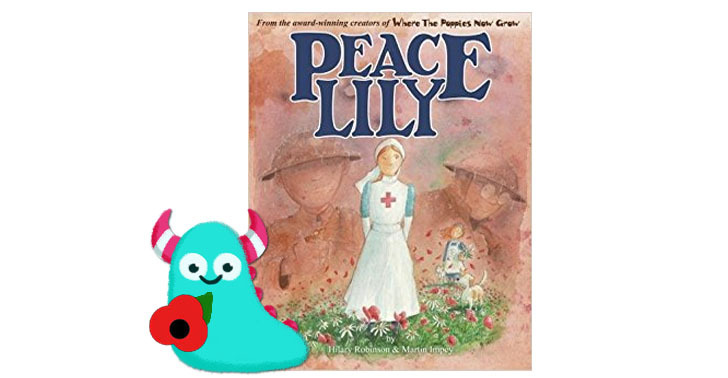 Peace Lily takes us back to the story of Ben and Ray from Hilary and Martin’s earlier book Where the Poppies Now Grow. But this time, we are joined by their dear friend Lily to hear her story. What Hilary and Martin do so expertly is allow us to fall in love with their characters by taking us on a journey with them, through their lives. We see Lily’s birth, and then her growing up with Ben and Ray. How they play together as equals, Lily happily partaking in all their active outdoor rough and tumble. Such beautiful scenes, show us a strong bond between lovely, kind friends. This carefully executed build up makes it all the more heartbreaking, when the young boys are sent out to fight on the front lines, leaving Lily behind, bereft, without her two best friends. 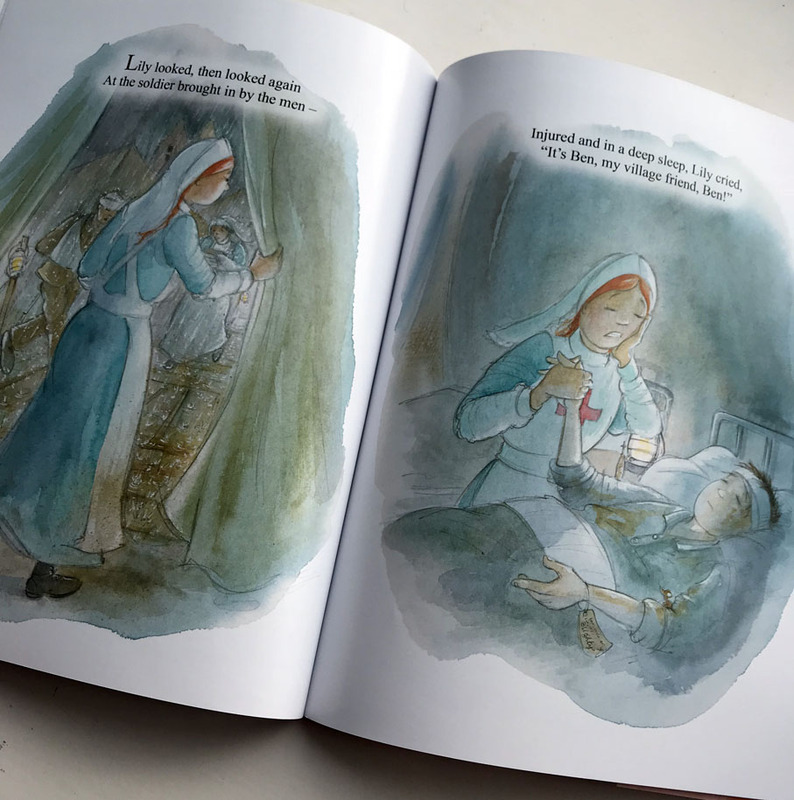 However, Lily decides to make her own contribution when she enlists as a nurse, tirelessly helping the wounded soldiers as they return and eventually caring for and saving her very own friend, Ben. Hilary has written this story in a beautifully flowing rhyme in tribute to the war poets which just makes it all the more poignant with every step. It’s a gentle flowing and sensitively handled piece of writing which hits you hard in the heart as you travel along with Lily, Ray and Ben. 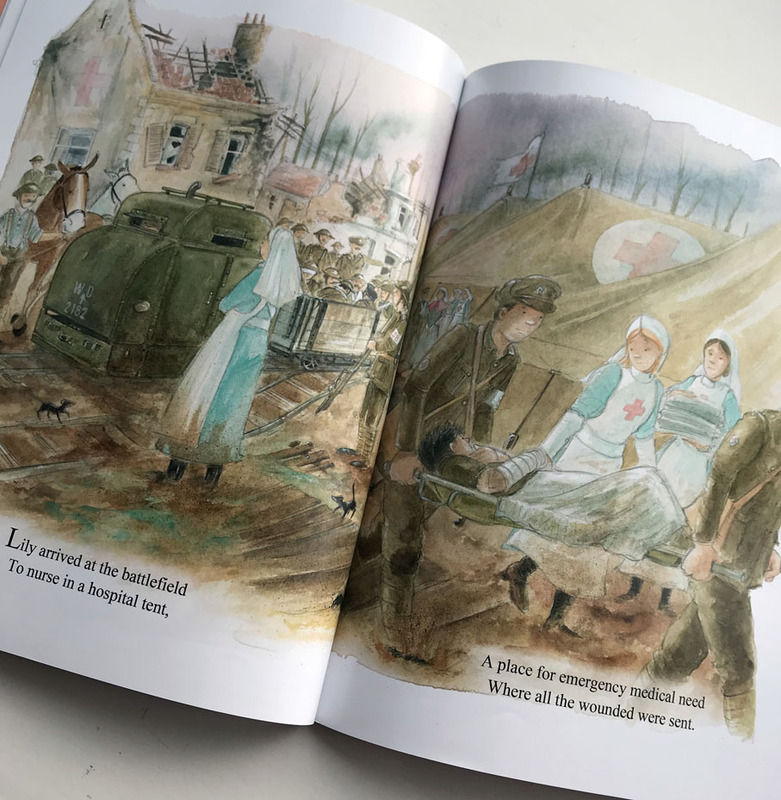 This is incredibly heartfelt and emotional stuff to read, yet it has an accessibility making it the perfect introduction to war for younger children. Writing such as this, which strikes that perfect balance takes real skill to achieve. Along with Hilary’s poetic writing we have Martin’s illustration. Martin is able to convey an atmosphere and emotion with his clever use of colour and expression. The innocent carefree days enjoyed by the three young friends shown in their exuberant movements and joyful faces. Contrast this with Ben and Ray heading off to war, full of fear. Hardworking young Lily, helping care for injured and traumatised soldiers returning from war. It’s all incredibly touching with every emotion expertly etched in the character’s faces. 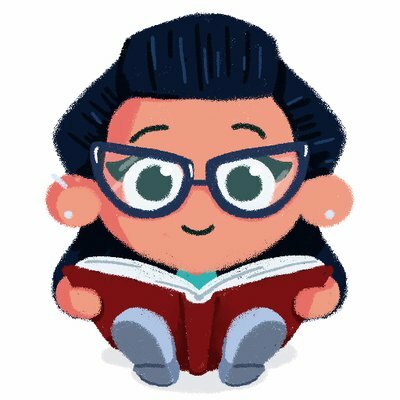 Martin is a master of his profession, and now after three books, I feel like I really know and love these gentle characters. 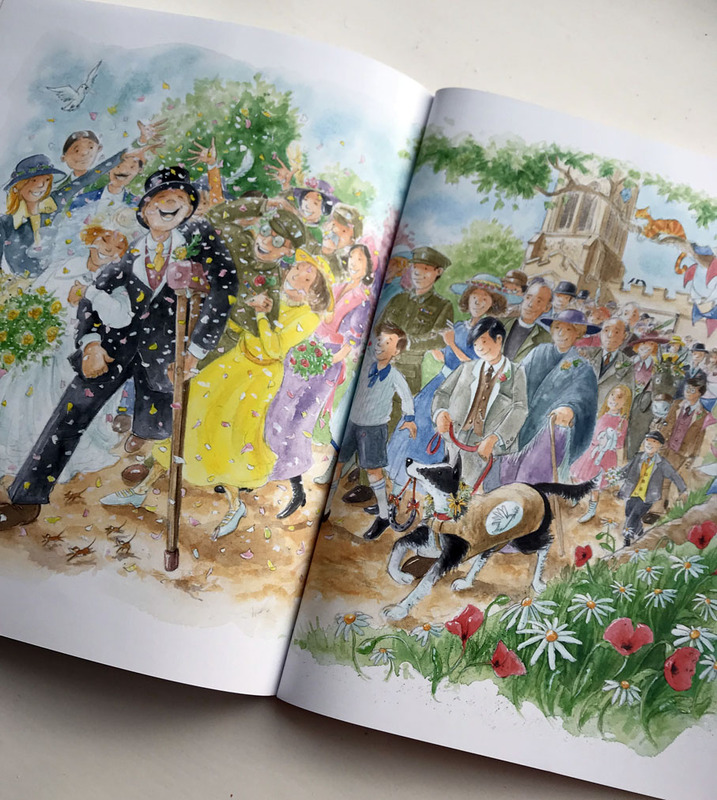 War is a difficult and heartbreaking subject to write about, particularly for children, but Hilary and Martin always manage to inject joy and hope into their stories, whilst still showing the depth of feeling. 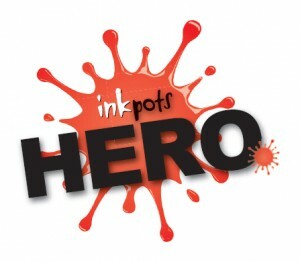 The final page is so bright and happy, it ends with a great big punch in the heart. And best of all, on International Women’s Day, we have a book here which zooms in on the crucial female role in the wars through the strength and fortitude of one young lady. This is an incredible, unique and special set of books created to celebrate all human (and animal) contributions to the war efforts. To honour, respect and remember those who fought for our country, and to do this in a way that is accessible to all ages. Beautiful, poignant and most of all, full of heart, these special books are keeping history alive. Lest we forget. Peace Lily (along with Hilary and Martin’s other books) is now available from all good libraries and bookshops.